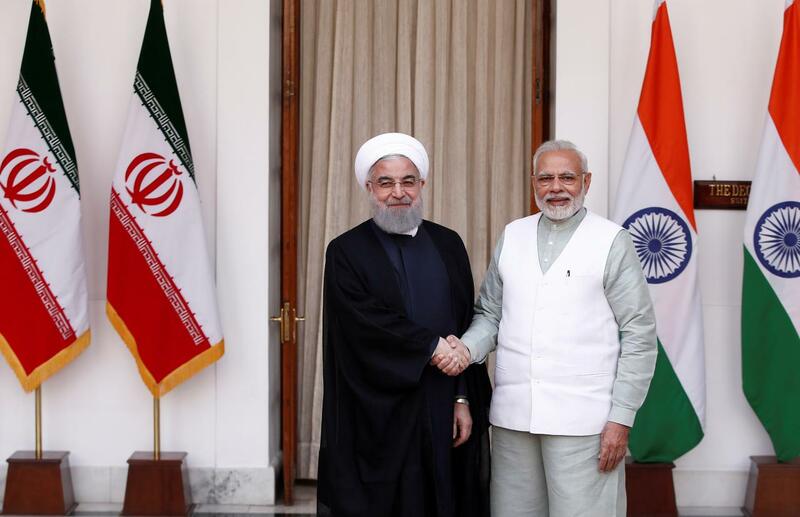 India and Iran signed nine agreements during President Rouhani’s visit, including a pact with an Indian company to take over interim operations at Chabahar port for the next 18 months. New Delhi: During his trip to India, Iranian President Hassan Rouhani described the US’s “haggling” after signing the nuclear deal as “ridiculous”, even as New Delhi re-affirmed support for “full and effective” implementation of the agreement that is under threat of withdrawal from President Donald Trump. Rouhani’s visit to India is the first by an Iranian president after a gap of 10 years. It takes place against the backdrop of Trump’s sabre-rattling on Iran and recent domestic protests against price rise within the West Asian nation. In toto, nine agreements were signed, which included a pact with an Indian company to take over interim operations at Chabahar port for the next 18 months. 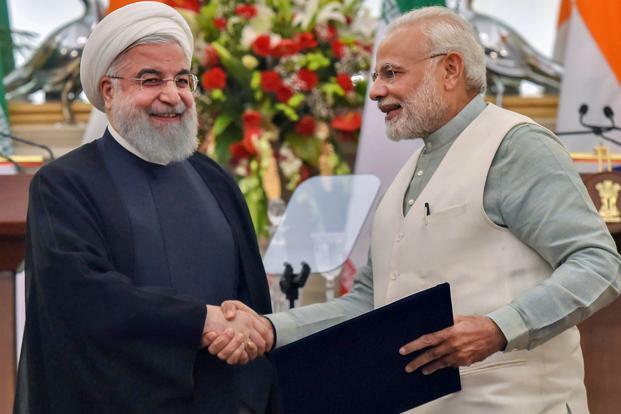 India also expressed support for construction of a railway line from Chabahar to Zahedan on the Iran-Afghan border, a project that has been on the anvil for several years now. Rouhani began his visit to India from Hyderabad, where he offered Friday prayers at the city’s main historic mosque and visited tombs of the Qutub Shahi dynasty. In New Delhi, he had a series of meeting with the Indian leadership, but his only extensive political remarks were at a lecture organised by the Observer Research Foundation think tank on Saturday evening. He used the platform to lash out at the US for threatening to withdraw from the Joint Comprehensive Plan of Action (JCPOA) and bemoaned the lack of ethics in the conduct of international relations. “Our destiny was in the hands of the United States for a long time. They would decide not just our economy but our culture,” said Rouhani, who had already been conscripted in the military at the time of the Iranian Revolution. He noted that the sole educational channel in pre-revolution Iran was run by “36 Americans” and said that the last Shah of Iran ran the country with the help of the US ambassador. Rouhani narrated how there were areas in the military bases that were off-limits for Iranians. “There were so many closed doors…When I asked to open a door, they [the officials] were afraid as they had never entered the hall”. Not surprisingly, he spent a considerable portion of his speech on the importance of adhering to contracts. The Iranian president even linked it to religious practice, asserting that the holy book urged Muslims to keep their word. “If we have made a deal, entered a contract, we will follow it to our death”. Speaking about “perfidy” of other countries in breaking commitments, he first mentioned former Iraqi dictator Saddam Hussein for violating the 1975 border agreement with Iran. Rouhani then digressed into the role of the US in supporting Hussein, claiming that intelligence gathered by the US AWACS hovering over Iran were supplied to Iraq. “Let me give you another example of betrayal,” Rouhani said, as he started to offer his views on Trump’s crusade against the Iran nuclear deal. The US’s threat to withdraw from the agreement was not just against Iran, but also other signatories, the United Nations Security Council and “public opinion of the world”, he asserted. “…we will stay on board,” said the Iranian president in reference to the 2016 nuclear deal signed between Iran and six other countries. He, however, added that his country had adhered to contracts signed with other nations who have followed the terms and conditions. President Trump had argued even during his campaign that he could have got a better deal with Iran than the JCPOA which was signed in 2016. In January, Trump warned European nations that unless the deal was tweaked to curb Iran’s missile development programme, he won’t waive off sanctions next time as per schedule in May. “After signing, there is no place for haggling… Haggling has its specific time. After signing a deal, haggling is ridiculous,” said Rouhani, addressing an audience of members of Delhi’s diplomatic community, foreign policy experts, journalists and retired bureaucrats. Directly criticising Trump, he said, “A businessman who has been haggling all his life does not know when to stop…. He thinks that he can haggle any time”. He warned that Trump’s plan to withdraw from the deal would be a self-inflicted wound. “If the US violates this agreement, you will see that America will regret its decision. Not only the US administration, but also the US people would voice their opposition immediately and will object to the violators”. The joint statement issued at the end of a two-hour long discussion between Indian Prime Minister Narendra Modi and Rouhani described the nuclear deal as crucial for international peace and security. 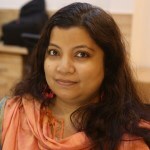 “The Indian side reaffirmed its support for full and effective implementation of the Joint Comprehensive Plan of Action (JCPOA), which has been endorsed by the UN Security Council and is a crucial contribution to the non-proliferation framework and international peace, stability and security,” said the bilateral statement. When Prime Minister Modi had visited Tehran, the 2016 joint statement had described JCPOA and its implementation as the “triumph of diplomacy and sagacity”. There had been no specific reference to Iran in the last India-US joint statement. But in October 2017, US secretary of state Rex Tillerson had said in the context of India’s investment in Iran’s Chabahar port that Washington will not interfere with “legitimate” business activities or agreements that “are in place that promote economic development and activity to the benefit of our friends and allies as well”. Noting that international relations were not run by ethics, but on “might and power”, Rouhani added rhetorically, “Why doesn’t India with 1.2 billion people enjoy veto rights, while the US does? And four other countries also… Those who had atomic bombs have been given veto rights”. Rouhani’s remarks were in the context of the double standards in the international system, claiming that powerful countries were able to exploit the international system without following “ethical standards”. Iran has been a frequent target of the Security Council and certainly not a votary of veto power. Therefore, in that context, Iran president’s reference to India not having veto rights was a rhetorical phrase and certainly not a endorsement of India’s quest for permanent seat on the UNSC as some outlets mistakenly reported. Backing for a India’s permanent membership ambitions is always a major highlight for Indian officials during any foreign visit and would have been mentioned by Indian officials if indeed that is what Rouhani meant. Significantly, there was no mention of any such endorsement at the MEA briefing. Further, in the joint statement, the Iranian leader only endorsed the importance of reforming the United Nations Security Council to show “current geopolitical realities” and supported inter-governmental negotiations – but stopped short of any explicit backing of India’s bid to become a permanent member. The two leaders exchanged views on regional and international situation. In view of strengthening multilateralism, President Rouhani acknowledges the aspiration of India to play a greater role in international fora. The two leaders reiterated the importance of strong United Nations and emphasised the need for an early reform of the Security Council reflective of the current geopolitical realities. They reaffirmed their commitment to supporting the Intergovernmental Negotiations [IGN] for comprehensive reform of the Security Council. On terrorism, both leaders urged an “immediate end to all support and sanctuaries enjoyed by terrorist groups and individuals and were of the view that states that aid, abet and directly or indirectly support terrorism should be condemned”. Calling on the international community to end “selective of partial approaches to combating terrorism”, Rouhani and Modi also “stressed the need to make every effort to reach an agreement on and conclude a comprehensive convention on international terrorism at the UNGA”. In his speech, the Iranian president had accused Washington of being the phantom force behind ISIS. “They [the ISIS] were a great instrument for the US to play with a long time… We have the documents”. Significantly, both countries agreed to hold a dialogue to look into measures for defence cooperation, “including port calls by naval ships, training and regular exchanges of defence delegations”. On Afghanistan, they supported a “strong, united, prosperous, pluralistic, democratic and independent Afghanistan while supporting the National Unity Government in the country”. Even as the Chabahar port was being projected as the panacea for Afghanistan’s trade woes, Iran supported New Delhi and Kabul’s demand for Pakistan to open its land route to allow two-way trade from India. “In this context, they also called upon the countries of the region to come forward for enhancing regional connectivity and take steps to do away with the obstacles on land transit,” said the joint statement. According to the Ministry of External Affairs, a running theme of Rouhani’s visit was the completion of pending agreements. The double taxation avoidance pact and the extradition treaty signed on Saturday were cited as examples since both of them had been in the pipeline for nearly a decade. There was also a decision to finalise the Preferential Trade Agreement and Bilateral Investment Treaty in a “fixed timeframe”. Last month, India had allowed for rupee investment in Iran – a privilege only granted to Nepal and Bhutan, previously. This was largely done to facilitate Indian investors leapfrogging over US sanctions. New Delhi has assured Iran that the application by the Iranian Pasargad Bank to open a branch in India was “under advance consideration”. Following the presidential visit, a joint committee would be set up to examine options “including Rupee-Rial Arrangement, Asian Clearing Union mechanism to establish functional payment channels”, the statement noted. New Delhi also supported Iran’s accession to the World Trade Organization, stating that it was consistent with the “objective of making the organization universal and inclusive”. India and Iran agreed to grant reciprocal e-visa facilities, even as Tehran said it would “positively consider” the Indian request to upgrade its consulates. Besides both countries also agreed to hold a festival of India in Iran, establish a chair of Indian studies in Tehran University, organise Indology courses for Iranian diplomats and support Persian language courses in India.